It was a beautiful day for indigenous people. 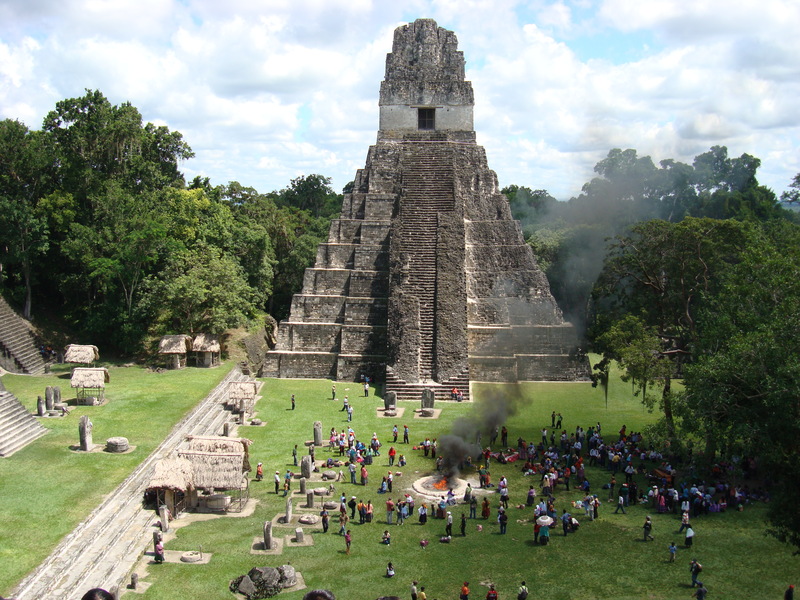 We returned with hundreds of other local people from the surrounding areas of Tikal. The elders and medicine people from the area invited to be a part of the celebration of indigenous resistance to european colonization. We had a huge sacred fire right in the middle of the sacred pyramids. We also had four smaller fires for the four directions around the sacred site. it was a beaufiful ceremony with lots of offerings to the fire. We had all of the staffs there with us as well. wow! I wish I been there.